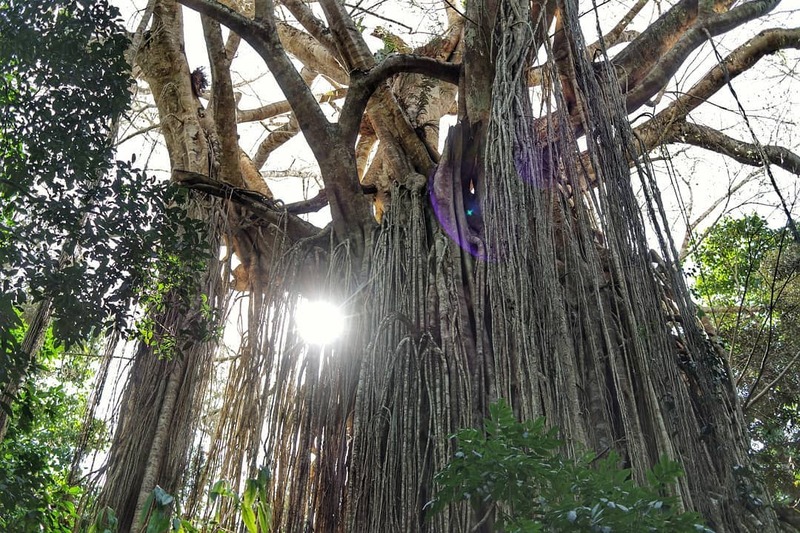 Singularly and en masse, trees on the Atherton Tablelands will leave you amazed and enthralled. Kuranda, the “village in the jungle” is just that, a town made lovely by its rainforest cloak. Lakes Barrine and Eacham, the volcanic twins, are both surrounded by rainforest, which gives them an otherworldly atmosphere. The two famous strangler fig tees – Cathedral and Curtain give every visitor that “oh wow” moment. Look up – the best of the Atherton Tablelands is often over your head. 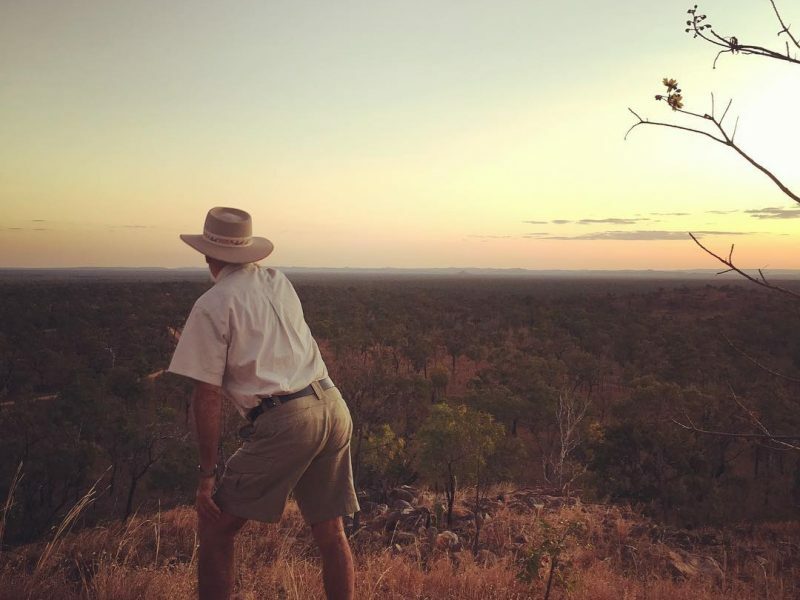 Trees are so special up here they even have their own kangaroo, and let’s not forget the fruit and coffee trees that will take your breath away with amazing food and drink. Don’t listen to TLC – do go chasing waterfalls. The Atherton Tablelands has a whole circuit of them. Guaranteed to take your breath away – and that’s a relief on a warm summer day. The Atherton Tablelands waterfalls are so beautiful they have even starred in tv advertisements. Make a day of travelling round. The “official” waterfall circuit begins at Millaa Millaa on the Palmerston Highway and includes Zillie, Elliniaa and Mungalli Falls. 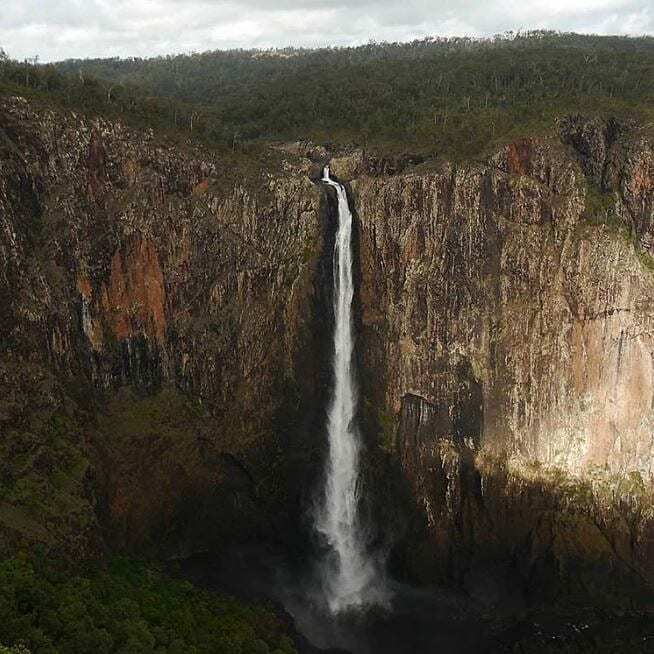 Nearer Ravenshoe are the Soutia and Pepina Falls and Millstream Falls, Australia’s widest. 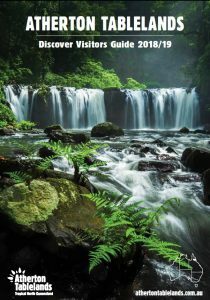 Whether its sitting at the base of a waterfall mesmerised by the cascade falling down a sheer rock face, rock hopping over granite boulders or lazily paddling round a pool, the Atherton Tablelands’ waterfalls are magic. These limestone caves are a natural wonder of the outback. 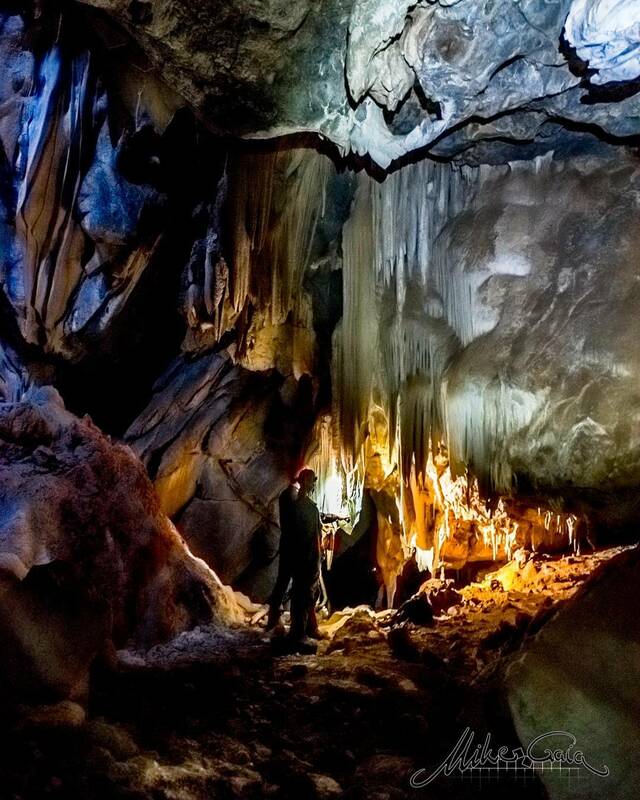 This limestone has been weathered, dissolved and re-formed by water to create spectacular caverns and passages, decorated by stalactites, stalagmites and flowstones. Several of the caves are lit and look like rock cathedrals, while the Royal Arch is dark and a little spooky. Spiders with glow in the dark eyes and bats add to the atmosphere. This is the quintessential Aussie outback pretty close to town. It takes about two hours from Mareeba and with the last 32km a mixture of dirt road and bitumen you know you are getting a dinky di bush experience. Check suitability during the summer period if you don’t have a 4WD. Tours are the way to go to ensure you see everything and spend a couple of hours with a very informative guide. There are three different tours available and its best to book. Or have a fossick round by yourself on a self-guide tour so take a torch. Bushwalks, swimming in the local creek and having a meal in the pub with the locals are all part of an unforgettable experience. Take a moment to look at balancing rock, the old smelter and some of the Indigenous art sites. This is one breathtaking experience for the whole family, the kids will be awed along with the adults. And a bonus – the caves are nice and cool inside. Four hundred million years in the making, the Chillagoe Caves are one of the best kept secrets of Tropical North Queensland. 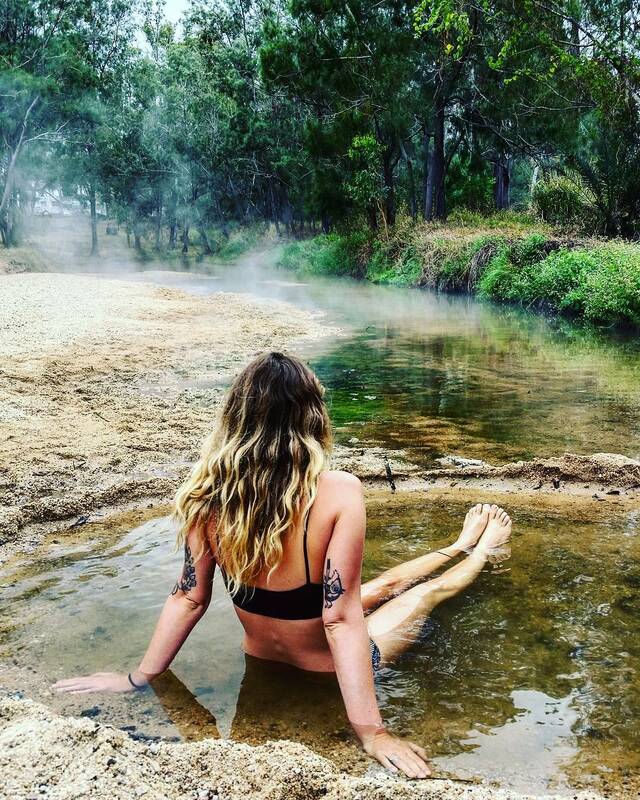 Hot springs in Tropical North Queensland? Bit coals to Newcastle? Hardly. To beat the heat and humidity what could be more divine than soothing a travel weary body in warm waters from a natural spring. The very definition of bliss. Winding through the landscape between Ravenshoe and Mt Garnet is Nettle Creek, heated by natural geothermal mineral springs. The waters in the creek are said to have therapeutic powers and were once bottled and shipped to Europe. They are an unexpected treat in this varied landscape but be careful, the water in some parts of the creek can reach 75 degrees. Ask the locals where the cooler places are along the stream. Nearby Innot Hot Springs takes advantage of the natural heating and offer visitors a range of soaking options in six pools. The indoor and outdoor pools offer a dip ranging from searing hot to bath temperature to icy cold. The pools are close to a caravan park and dotted around a lovely setting. And if you are feeling rejuvenated and fizzing to go, try some bird watching or gem fossicking in the region. It’s famous for both. Like nothing else on earth, the Undara Lava Tubes at Mount Surprise are fascinating grottoes formed by volcanic activity. Rock arches, extensive tunnels and underground lakes were all formed by an eruption about 190,000 years ago. The tubes were pushed out by molten lava, the top, outer-layer of the flow cooled and formed a crust, while the molten lava below drained outwards, leaving behind a series of hollow tubes. Undara in the Ewamian language of the area means long way – this is one of the most extensive lava tube cave systems in the world. Up top are rich volcanic basalt soils covered by seasonal grasses and a ribbon of remnant dry rainforest. Underneath are complex caves and tunnels –there are more than 50 in the Undara National Park and surrounding area. In some the roof or walls have collapsed and flora and fauna have taken over. The tubes act like a giant drain for summer rain and Undara is considered one of the most biologically diverse cave systems in the world. 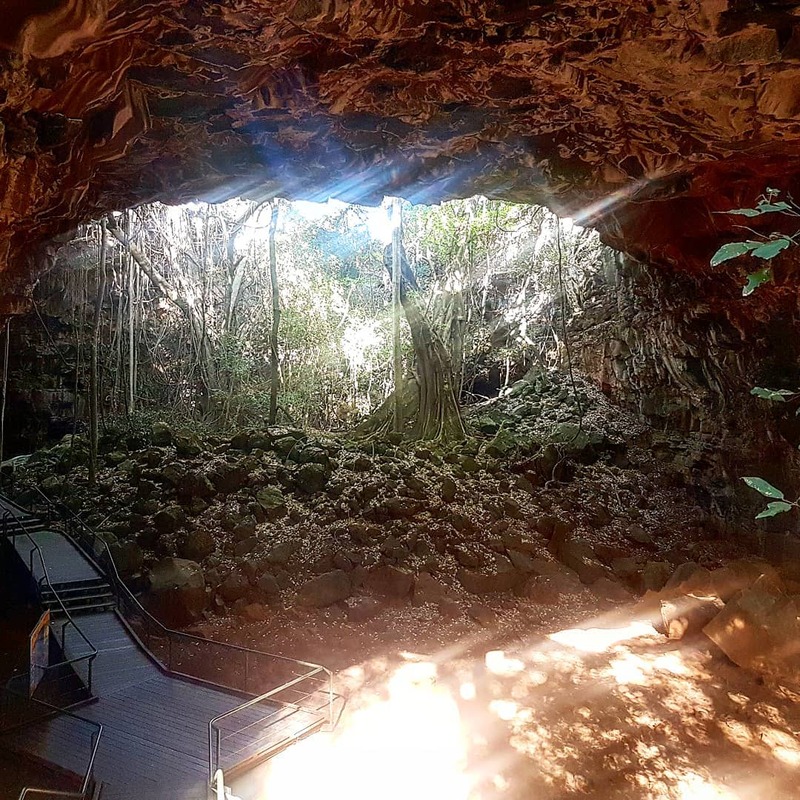 Access to the lava tubes is by guided walk only through the Undara Experience, a privately-owned business next to the national park. However, there are several self-guided walks in the region, including the 2.5km Kalkani Crater Rim trail, which takes you to the egg cup shaped rim and offers views across the lava plain to other volcanic vents. The Undara Experience offers a range of accommodation options including huts, camping and caravanning sites, glamping and vintage railway carriages for a bit of fun.